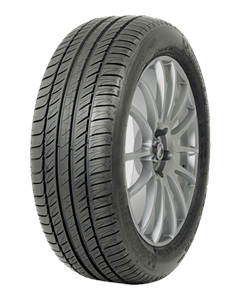 The Primacy HP ZP (Zero Pressure technology) is Michelin's Grand Touring Summer run flat tyre developed to provide longer tread life and lasting performance throughout the tyre's life, as well as better braking, steering control and handling on wet roads. The Primacy HP ZP also offers temporary mobility (up to 50 miles at 55 mph) in the event of air loss for current BMW 3-Series sedans, coupes, cabriolets and wagons and Z4 roadsters, as well as MINI Cooper and Cooper S hatchbacks and convertibles featuring Original Equipment self-supporting run-flat tyres. While Primacy HP ZP tyres are designed to offer reliable traction in dry and wet conditions, they are not intended to be driven in near-freezing temperatures, through snow or on ice. Primacy HP ZP tyres benefit from Michelin design innovations known as A.S.M. (Architecture, Sculpture and Materials) that reflect Michelin's ability to focus simultaneously on three fundamental factors that determine a tyre's capabilities. Using their A.S.M. design method, Michelin can develop tyres that combine an architecture that deforms more easily to optimize contact with the road, a tread design sculpture that remains rigid so more of the footprint contributes to performance, and unique tread compound materials precisely blended by Michelin's mixing technology. Primacy HP ZP tyres use a new generation Michelin tread compound molded into an asymmetric tread design that features large, linked shoulder blocks, notched intermediate ribs and a solid center rib to combine responsive handling and high-speed stability with traction and even treadwear. The Primacy HP ZP tyre's structure includes twin steel belts reinforced by size-optimized BAZ Technology (spiral-wrapped Polyamide Banded At Zero degrees to tyre rotation) to enhance ride quality while providing high-speed durability. Sidewall reinforcement using low hysteresis rubber provides self-supporting strength at zero-pressure, helps combat sidewall damage, and maintains cool temperatures to allow longer zero-pressure driving while a special bead design helps tyres stay securely seated on conventional rims. Sorry, we currently do not have any tyres with the PRIMACY HP ZP pattern in stock.